Boris Johnson has held talks in Iran to press for the release of British-Iranian Nazanin Zaghari-Ratcliffe. The UK foreign secretary met his Iranian counterpart Mohammad Javad Zarif to call for the release of the mother-of-one on humanitarian grounds, along with other dual nationals. Mrs Zaghari-Ratcliffe has been held in Tehran since April 2016 after being accused of spying, which she denies. Mr Johnson's first visit to Iran comes amid rising tension in the Middle East. On Saturday afternoon he will meet the speaker of the Iranian parliament and the secretary of Iran's Supreme National Security Council. BBC diplomatic correspondent James Robbins said Mr Johnson is expected to emphasise Britain's continuing support for the international nuclear deal with Iran, but he will also make clear Britain's concerns about some of Iran's activities, notably in Yemen and Syria. Our correspondent said Mr Johnson's trip to Tehran - only the third made by a UK foreign secretary since 2003 - could "hardly be more sensitive". He added that Mr Johnson had been careful to lower any expectations of imminent release for 37-year-old Mrs Zaghari-Ratcliffe, warning that such cases are very difficult. Mrs Zaghari-Ratcliffe was arrested during a holiday visit to enable her parents to meet her baby daughter Gabriella. After the arrest her daughter's passport was confiscated and for the last 20 months she has been living with her maternal grandparents in Iran. 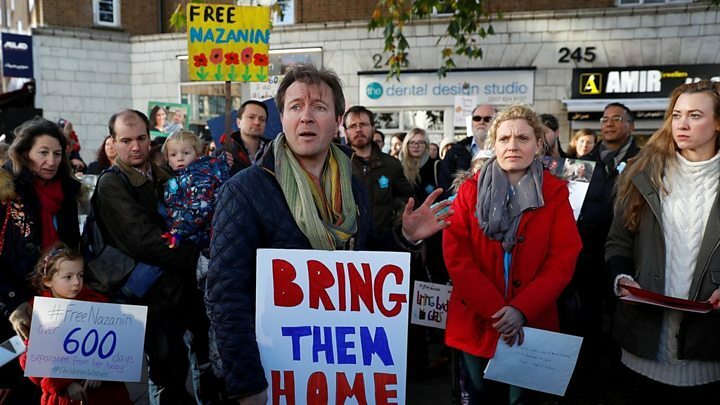 Even before Boris Johnson took off for Tehran, the foreign office wisely lowered expectations of an immediate release of the imprisoned dual national Nazanin Zaghari-Ratcliffe. The Iranians will have prepared very carefully for this visit, as they have concerns and demands of their own. In Iran there is a pervading sense that the West is not fully living up to its side of the bargain in the 2015 Vienna nuclear deal. Flows of money through London, for example, are still restricted and the hoped-for economic dividend has failed to materialise for many Iranians. Complicating matters for Boris Johnson is the fact that there are essentially 'two Irans'. There is the elected government, which he has been meeting today. Then there is the deep state: the Revolutionary Guards Corps, the judiciary and the intelligence and security apparatus, all of which are hostile to the West and likely to impose a hard line on any negotiations. 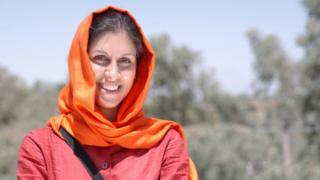 Mr Johnson was accused of risking an additional five years being added to her sentence when he told a parliamentary committee that she had been in Iran to train journalists. In November, he apologised in the Commons, retracting "any suggestion she was there in a professional capacity". Mr Johnson then met with her husband, Richard Ratcliffe, to discuss her case, including calls for her to be given diplomatic protection. Mr Ratcliffe told The Guardian that he was "waiting on tenterhooks, biting my nails", ahead of Mr Johnson's visit. There have been concerns about Mrs Zaghari-Ratcliffe's health after lumps in her breasts were discovered, but those were found to be non-cancerous. Tulip Siddiq, Mrs Zaghari-Ratcliffe's MP, said she had been told by the Foreign Office that Mr Johnson probably would not be able to secure her imminent release. "It was made very clear that we shouldn't expect any miracles," the MP for Hampstead and Kilburn said. Although not mentioning her by name, Mr Johnson said: "I will stress my grave concerns about our dual national consular cases and press for their release where there are humanitarian grounds to do so." The Foreign Office would not confirm the names or number of other people being held in Iran, saying their families had asked for their cases to be kept out of the public domain. In addition, the BBC has issued a statement on Twitter, urging Mr Johnson to raise the case of the BBC Persian staff during his visit. The BBC Persian Service has long been viewed with hostility by hardline Iranians. Two months ago, Iranian authorities launched an investigation into 152 present and former journalists and staff, accusing them of conspiracy against national security. The BBC News Press Team called upon Iran "to stop the harassment and persecution of our staff and their families". In his statement, the foreign secretary listed topics he would raise with his Iranian counterpart, Mohammad Javad Zarif, including finding a political solution to the conflict in Yemen and securing "greater humanitarian access to ease the immense suffering there". He also said he would underline the UK's support for the 2015 nuclear deal - struck between Iran and six world powers - but "make clear" concerns over the country's activity. Mr Johnson added: "Iran is a significant country in a strategically important, but volatile and unstable, region which matters to the UK's security and prosperity. "While our relationship with Iran has improved significantly since 2011, it is not straightforward and on many issues we will not agree. "But I am clear that dialogue is the key to managing our differences and, where possible, making progress on issues that really matter, even under difficult conditions."